What is your job and what does your company do? I work as a venture capitalist for Revolution, an investment firm based in Washington, D.C. I am on Revolution’s Rise of the Rest Seed Fund, which invests in early stage companies across the United States with the purpose of providing capital to entrepreneurs located in geographies that are often overlooked by traditional venture capital investors. My work, which involves sourcing and conducting diligence on companies, has taken me all over the country in search of companies to invest in. It’s been an amazing experience to meet so many entrepreneurs passionate about building great companies in their communities and a phenomenal way to see entrepreneurship across the United States. · Did you first learn chess from CIS at your school, or did you know some chess before? My first exposure to chess came from my grandmother, who taught me chess when I was growing up in Russia. I formally learned chess through a Chess-in-the-Schools program in my elementary school in Brooklyn. · At what school(s) did you play chess? 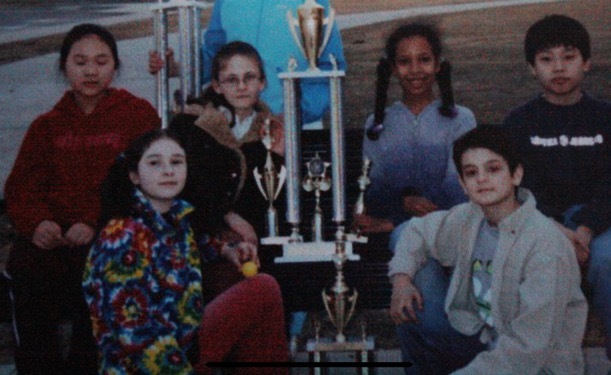 I played chess on a team at my elementary school, P.S. 180, where I made some of my best friends. I continued to play chess in middle school (I.S. 187) and high school (Stuyvesant High School), though not necessarily through school-organized teams. · Did you go to chess club? Yes – besides attending chess club at my elementary school, I also took lessons at White Rook Chess Club in Brighton Beach, Brooklyn, and later through the Chess-in-the-Schools College Bound program in high school. Tournaments were a great way to put into practice the lessons learned from chess classes, workbooks, and free play. Attending and playing in tournaments was a regular part of my childhood and I loved attending both local weekly tournaments across the city and national/regional tournaments like U.S. Amateurs, Chess Nationals, and All-Girls Nationals. I worked as an Assistant Chess Tournament Director at Chess-in-the-Schools tournaments in high school, which provided me with a great first job experience and an opportunity to see the work that goes into organizing tournaments for thousands of kids across the city on a weekly basis. A huge shout-out to the chess parents and coaches who traverse the five boroughs in all kinds of weather and states of the subway to spend their entire Saturday nurturing their kids’ chess education (thanks mom!). · Any special memories of chess wins or losses? I remember playing a difficult game with an opponent during a Nationals tournament in high school. Games at Nationals were marathons – multi-day games that lasted up to four hours each. My opponent used an opening I had limited familiarity with and I recall getting into a funky closed position in the middle game. I expended a lot of effort determining the best strategic approach to my improving my position and staving off some aggressive tactical attacks. The game ended in a draw and my opponent and I were some of the last people to leave the tournament hall. It was an exhausting, but infinitely satisfying game; my opponent was a strong player and I was dealing with an unfamiliar terrain, but we were both happy with our play and were excited to pick each other’s brains about moves made after the game. The feeling of accomplishment when you played the best game you possibly could, no matter the outcome, stays with you. · Do you still play chess? I do! When I lived in New York after graduating from college, I would stop by the park at Union Square to play chess. Now that I’ve moved to D.C., I’m still getting acquainted with the chess spots in the city, but found some players in the parks here as well. A number of my friends from Chess-in-the-Schools live in D.C. – we meet up every now and then to play chess (and, naturally, bughouse). · Did learning chess have an impact on your life? Did CIS have an impact on your life? Chess taught me a number of valuable skills and approaches to thinking about my goals and how to achieve them. But beyond sharpening strategic and analytical skills, chess was the catalyst for some of my closest friendships and meaningful connections. While post-high school I’ve played chess informally, I’ve found other ways of integrating it into my life. In college, I once did a fun anthropological project on chess spots in New York City – exploring chess communities across the city and talking to people about their relationship with the game. Chess meant different things to each person I talked with – some people played because their friends played, some people played to cope with difficult life situations. It’s been a great way to meet and learn about different people. 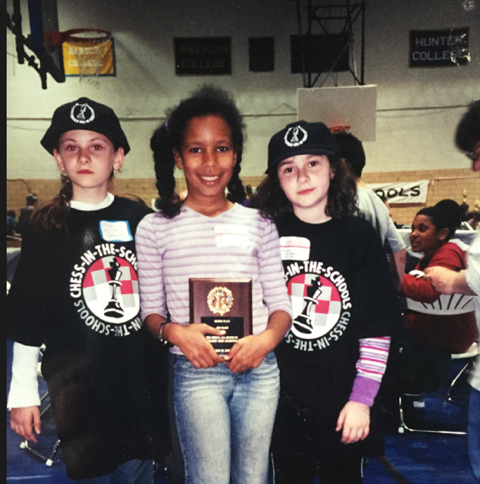 Chess-in-the-Schools has been an important organization in my life. Beyond all of the great work the organization did to provide a free chess education and organize tournaments when I was growing up, Chess-in-the-Schools also gave me my first job and helped me manage the college application process. Chess-in-the-Schools also had a relationship with American Field Service, through which I was able to study abroad in Japan on scholarship after my freshman year of high school. Because of this experience, I placed into the second-year Japanese class at my high school and ended up studying Japanese throughout high school and college, an academic interest that culminated in a thesis on Japanese political economy at Yale. Chess-in-the-Schools did a lot to provide me and other students in the program with opportunities and resources that otherwise would have otherwise been unavailable to us, positively impacting our academic and professional paths. · If you could tell students one thing about life, what would it be? Since we are talking about chess – consider the purpose of the moves you are making. Chess teaches valuable lessons and skills – including strategy and tactics, patience and analysis. But the objective in chess is fairly clear – you want to win by checkmating your opponent. In life, “winning” may not be as easy to define and the definition may change with time. Take time to consider the “why” of what you are doing in addition to the “how” – and don’t be afraid to reassess your moves from time to time. · Do you have a favorite chess opening? I’m a fan of the King’s Indian Defense.